Vicky Kaushal said: "There is always an adrenaline rush to play a character like this"
Vicky Kaushal, who had a great run at the movies this year with back-to-back hits in Sanju, Raazi and Manmarziyaan, on Wednesday said being under "pressure" keeps him moving. The actor's next film, Uri: The Surgical Strike, is inspired by true events. "I am lucky I am getting to be part of exciting projects. Every actor wants to test how strong they are. I am grateful to Ronnie Screwvala (producer) for this opportunity. I want to be in this pressure zone. I would want to be under pressure," Vicky Kaushal told reporters at the trailer launch of the film here. Directed by Aditya Dhar, the film is based on the Indian Army's surgical strikes on Pakistan as retaliation for the Uri attack in 2016. "I learnt a lot when I read the script. I was very excited to tell the story. There is always an adrenaline rush to play a character like this. I was all charged up to do it right. We have seen films on war and military earlier, but this film will be new for the audience." "India and Pakistan have often been shown fighting at the border, here we are showing how the surgical strike was carried out with the help of intelligence agencies and bureaucrats," the actor said. Ironically, the role of a Special Forces commander-in-chief, is a complete turnaround for the actor, who earned critical acclaim for his empathic portrayal of a Pakistani Army officer in Meghna Gulzar's spy drama Raazi. Uri also features Paresh Rawal, Yami Gautam and popular TV actor Mohit Raina, who is making his feature film debut, in key roles. 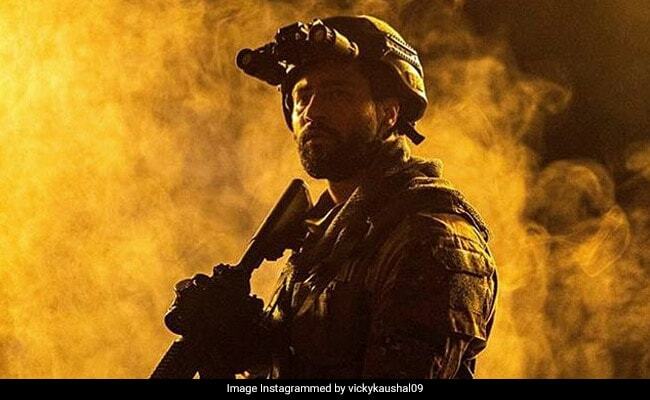 The film is scheduled to be released on January 11 and Vicky Kaushal said the makers have already shown the film to a segment representing the armed forces. "It is an ode and tribute to them (Army). We would like to get their validation from them and see how they feel," he said. Calling the defence personnel "real heroes", the actor praised their unwavering spirit. "It was so fascinating to hear their stories. You feel your life is so petty. We crib over such small things and for them, losing their life is the smallest worry. They live each day as it comes."